Consider the poor bloke depicted below. He lies, exhausted, on a sand dune in the Sahara desert, literally dying of thirst. 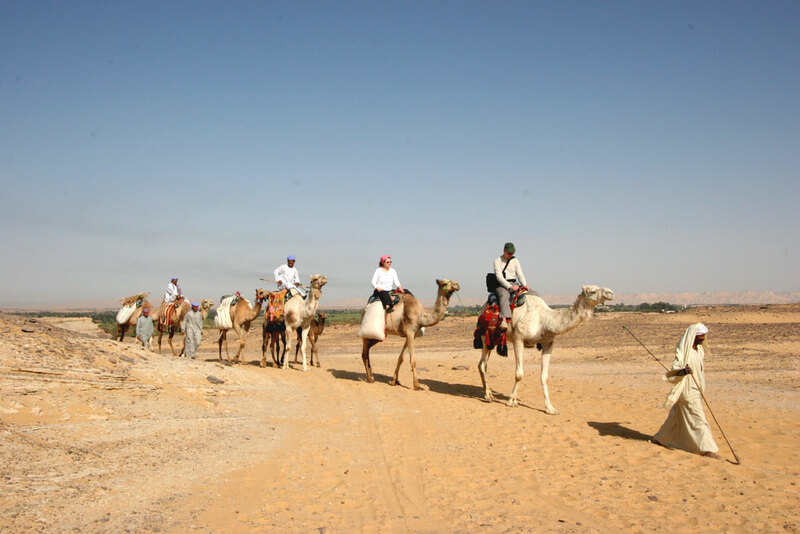 Along comes a camel caravan, evidently with a group of tourists in the lead. The caravan is bound to be loaded with water. “Everything I own,” moans the dying man, knowing that none of his assets would be worth anything to him unless he got water soon. “Done deal,” says the tourist, beckoning one of his fellow travelers, a lawyer, to draft up the necessary documents, which the thirsting man quickly signs in return for that life-saving bottle of water. What might we call this hypothetical transaction and the price the tourist extracted from the dying man for that life-saving bottle of water? Technically, we might call it “extreme value pricing,” because that price is pegged on the value that the bottle of water represents to its buyer, the dying man on the sand dune. One hears the term “value pricing” a lot these days in connection with the pricing of health-care products. Economists would call this transaction “efficient,” given the way the profession defines that term. Economists would also call the deal “welfare enhancing” in this sense: The deal obviously leaves the dying man better off, because even after losing all of his assets, he can go on living. Without the water all of his assets are worthless to him. The seller is better off, too, because the value of the dying man’s assets is so much greater he paid for that bottle of water. So this is a mutually beneficial deal that leaves both parties better off, which is unambiguously welfare enhancing. Yet I shouldn’t wonder if some readers of this blog would be reluctant to grace the transaction with such felicitous labels. Instead, some might call it a rather shameful exploitation of a man in dire straits. During the presidential campaign, and even shortly after becoming President, Mr. Trump had vowed that he would use the enormous buying power of government health insurance programs – especially Medicare – to negotiate lower prices for drugs with the pharmaceutical industry. After subsequently meeting in the White House with CEOs and lobbyists from the pharmaceutical industry, the President quickly retreated from that idea. Instead, he now proposes to lower the profit-tax rate for corporations in general and to relieve the pharmaceutical industry from some burdensome regulations. Perhaps he believes that these measures would automatically lead drug companies to lower their prices. It can be doubted that it actually would work out that way. Now it may be argued that in a free country an investor-owned business firm should be free to price its products as it sees fit, so as to maximize the investors’ wealth. That is the general assumption underlying our capitalist system. But the research-based pharmaceutical industry does not fit this model of capitalism. 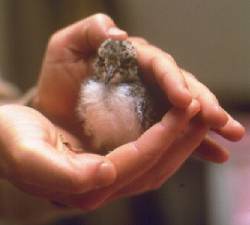 Rather, we should think of it as that fragile little bird in the image below. The protective hands in this image are those of government. In this case they take the form of patents, granted by the U.S. patent office, and of market exclusivity, granted by the Food and Drug Administration (FDA). Both measures protect the industry’s economic turf by granting the industry temporary monopoly power. Additional government support of the industry comes from tax-financed scientific discoveries produced by the National Institutes of Health (NIH) or funded by the NIH at universities and other research institutes – discoveries on which the pharmaceutical and biotech industry can build. Altogether, these protective measures granted by government make it reasonable for government to explore what use in its pricing policies the industry makes of this government protection. Granting temporary monopoly power to the producers of intellectual property (IP), such as the pharmaceutical industry, the medical device industry and the information industry, is, of course, not a frivolous public policy. It is done to allow these producers time to recoup their R&D costs of producing the IP and to earn an attractive profit margin on top of it, all to encourage innovation. The reasonable argument is that that the industry’s outlays on the research and development (R&D) leading to IP underlying new drugs are a risky use of financial capital, because often the R&D phase often leads to unproductive dead ends before a product finally makes it to market. In fairness, the prices of pharmaceutical products based on IP must cover not only routine production costs, which often are not very high, but also the cost of going down these dead ends. Finally, the price should yield on top of that an adequate margin to compensate investors for the financial risk they assume in funding drug company R&D. That is a fair and compelling point point. But the argument on pharmaceutical pricing is not about the need of a financial reward for the financial risk borne by those who finance the industry’s R&D. The argument is merely over how large that risk premiums needs to be. There is the second question what fraction of U.S. household income – especially of middle-income households not covered by public programs – the health care industry can reasonably extract from the rest of American society (see chart below). Median household income in the U.S. currently is only $56,000. Although spending on pharmaceutical products is only about 11% to 20% of total national health spending (depending on the payer and whether drug spending by hospitals and in medical practices under Part B of Medicare are included or excluded from the figure), spending on drugs in recent years has been the fasted growing component of national health spending U.S. health-care sector. Furthermore, at some point, there has to come a limit to the claim health care can lay on the income of American households—especially of so-called middle-class households. Cost sharing on prescription drugs can amount to significant burdens for the elderly on Medicare . Thirdly, the issue of drug pricing involves not only the prices for newly developed specialty drugs, whose annual costs can run into the hundreds of thousands of dollars. In recent years, many pharmaceutical firms have also raised annually or more than once a year the prices of old drugs no longer on patents but without effective competitors. There have been reports that prices of generics can raise even in the face of competition. Pharmaceutical companies defend these price increases as sources of financing R&D for new drugs. Perhaps they do. But, from the perspective of a profit and loss statement, these price hikes can also work against more R&D spending, because the ease with which drug companies can hike these prices in the face of a relatively weak health insurance industry can make price hikes on old drugs a good substitute for more risky R&D spending. These price hikes instantly and without much risk feed the top and bottom lines of the profit and loss statement and with it the price of the company’s stock and the value of management’s stock grants and options. The by now much maligned pharmaceutical company Valeant Pharmaceuticals International has been a poster boy for this approach, but it is merely an extreme version of this strategy. It will always be challenging to find the prices for prescription drugs that serve society’s interest best. They will therefore continue to be the focus of an ongoing national conversation. It is not even obvious that prices are the best way to finance the R&D costs of new drug discovery. For one, if it is desired that patients have “skin in the game” when they “consume” health care – including pharmaceutical products – drug therapies under “value pricing” can easily and quickly exhaust all of a middle- and upper-middle class families savings and its other assets. Furthermore, economists teach that in efficient, price-competitive markets, prices will be driven close to the incremental cost of production of commodities. No economist would argue that the market for pharmaceuticals today even vaguely approximates that norm. For those reasons, some scholars have advocated a delinking of financing R&D for pharmaceutical products from the prices of these products. Some ideas along these lines can be found here. Our national conversation on drug pricing should include these ideas as well. BTW, did anyone else notice that the poor bloke looks uncannily like Osama Bin Laden? If he were, would that alter the analysis? Re the dying man and your statement “Instead, some might call it a rather shameful exploitation of a man in dire straits.” 1. One constraint you don’t mention is reputational damage to the water seller….a threat of a huge negative backlash that would harm the water seller in the future. (and other backlashes like congressional or judicial or prosecutorial…think Martin Shkreli). 2. Substitute a stranded motorist in a snowstorm, willing to pay any price to be towed. Voila, the motorist pulls out his AAA card so the charge is $15 dollars. Market solutions emerge to prevent the shameful exploitation. Paul, the socialistically inclined, even those with the highest of intellects, seem to forget these remedies or minimize their benefits. Whether it is a involuntary blindness to protect their ideologies or because they truly don’t understand is difficult to figure out. Only if you can afford to be in the “market”. Where is the “Voila” then? Perfect. No variable is as marginalized in economic analysis as trust and reputation. The desert oasis problem is, of course, one of the classic examples of natural monopoly. I see here illustrated, however, the issue not of classic liberal regulation of natural monopoly, but of the creation of an artificial monopoly. In addition, absent is any discussion of an extremely distorted price mechanism, itself an artificial, government-driven situation. The result may look like a desert oasis, but isn’t a stronger argument required that this is the by necessity the nature of pharmaceuticals? Would you rather have 1917 medicine at 1917 prices, or 2017 medicine at 2017 prices? Turn of the century medicine (1900) should have cost so little since it provided so little. Go read Starr if you want informative history. I guess then your solution is to go back to the period when licensing was not required? Quacks lower the cost of medical treatment? We already know that more physicians do not lower costs. A one doctor community does not half the market when it becomes a two doctor community, it doubles the amount of health care administered. Does doubling the amount double the actual benefit? Did government make medicine great (if I may use that tired expression)? Obviously medical progress was happening before government got involved. This is completely uncontroversial. The question then becomes: will government intervention improve the trend or harm it? You are right that history alone cannot settle that question. The argument that government can only make care more expensive and reduce overall welfare and quality (by reducing choice) are persuasive to me. Even mainstream historiographers of American medicine (e.g., Kenneth Ludmerer) recognize that the quacks were rapidly going out of business before licensing came into play. So you advocate we should go back to what existed prior to the Flexner Report to reduce the cost of medical care? I may, but it appears many people think alcohol and opioids are very curative. The latter particularly in vogue 100 years post Flexner. Also, given all the complaints against alternative medicine today, it seems one would be hard pressed to conclude that Flexner put the quacks out of business (either outside or from within the medical profession). If I might add, placebos can be very effective. It sounds like Peter thinks government should be in charge and therefore if the power brokers are made up of quacks, quackery should prevail. Good having you on the blog. Can we assume you’re okay with the idea of surge pricing for cardiologists and emergency rooms? This seems to follow from your logic. I’m OK with letting patients choose and letting doctors compete for their patronage. That combination may be with any combination of price/quality/services. A good example of the Paradigm Paralysis that occurs from the character of how people and institutions encounter the social dilemmas of life.